This is the first time that the Sacred Art Museum opens its doors to a popular art exhibit. A highly significant event concerning the recognition of popular art. It is not, as some people think, a minor art. It just expresses itself in different ways, and has its own path. Popular art is the live expression of our people’s creativity. Through its fantasy, the artist reinvents reality, establishing an intimate relationship between reality and the symbolic. As opposed to erudite art, popular art is a spontaneous production in which there is no space for formal or academic education. When any kind of knowledge transmission exists, it may occur informally through an artist/artisan who acts as an initiator. In popular art there is much more space for inventiveness and personal artisanship than in erudite art. Imagination is a lot freer in the final form of the work as well as in the means invented to resolve the problems encountered. As stated by J. A. Nemer  “there is a high degree of challenge in the traditional rules of plastic activity”, since these rules are known “only through superficial observation”. Thus, it is that scarcity of information coupled with fertile curiosity open way to creation. Popular art of a sacred kind expresses additionally the religious devotion of the person who produces it or of the person who orders it. 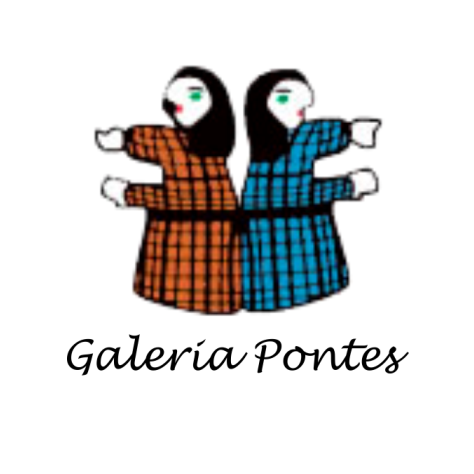 Two significant examples are the images called “Paulistinhas” and the “ex-votos”. Paulistinhas are simple images in clay or plaster developed in São Paulo in the 19th century, that people used to have in their homes for devotion. Ex-votos are representations of human body parts – feet, hands, head, etc. – used as a form of request or thankfulness for a miracle. Other pieces that compose this exhibit tend to express in different ways the characteristics of popular art as a whole. The image of the crude beauty of the Virgin with her heart pierced by arrows, by Antonio de Dedé, brings us to the barren setting he lives in and to the scanty resources he counts on to create a piece so charming. Mestre Dezinho, creator of São Pedro and São Francisco, with his elegant and unmistakable wood carving, has influenced a whole generations of Piauí saint makers. In Bento, another wood sculptor, we see a completely different interpretation in his São Francisco and in his Virgin, both equally beautiful. The procession of Maria do Socorro delicately illustrates on sewing and embroidery one of the deepest traditions of our people. 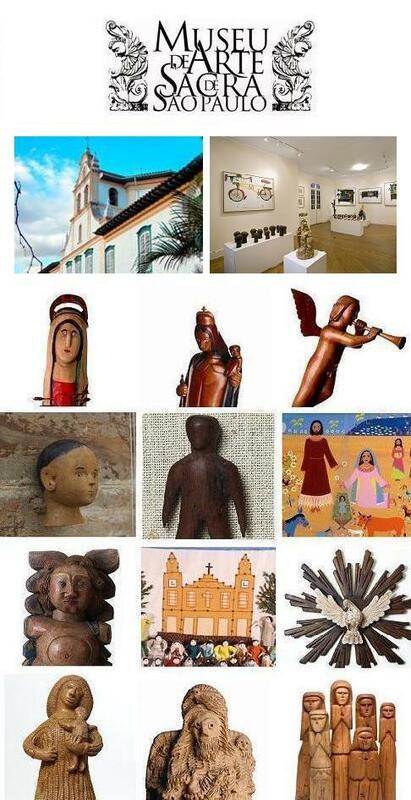 Several Nativities have an unmistakable touch of Brazility, whether made of terracotta (João de Alagoas) or of wood (Artur Pereira, Miramar and Adão), or painted (Fé Córdula). Antônio Poteiro was a master in the art of terracotta clay modeling and painting. Here he reveals his devotion in the Virgin molded in his characteristic style and in his strong and vibrant Last Supper. The great and renowned artist José Antônio da Silva, author of the magnificent Via Sacra, dedicates many of his paintings to Sacred Art. The sculptor Higino, with his polychromatic Angels and Virgin, offers an interesting reinterpretation of the Minas baroque movement. Tota with his terracotta figures that are both strong and delicate, creates a whole series of saints that send us off to expressionism. Willi de Carvalho, the master of miniature figures, expresses both religiousness and poetry. José Bezerra lives in contact with nature, isolated in Vale do Catimbó – Pernambuco, which is where he gets wood for his sculptures. Odon Nogueira follows the tradition of Poteiro when he chooses to work with terracotta, though in his own style. Costinha follows the tradition of wood sculptors initiated by Mestre Dezinho, keeping the same elegance in his carving. Finally, Naninho sculpts on wood one of the most beautiful religious representations – the Holy Spirit. This exhibit in Museu de Arte Sacra is composed of authentic manifestations of the creativity and religiousness of the Brazilian people. Contemporary Sacred Popular Art results from an interaction between a person who asks for an image to the modeling of an image and someone else who modeled it. In this sense, there is an expression both of the feelings of him who ordered the work, and those of the artist who performed the work. This is how a large space for the interpretation of the several signs contained in this work opens up. Every Popular Sacred Art work encompasses a rich array of languages that strive to communicate something very profound and unique, characteristic of the context in which the work was born. To understand this set of languages, we use Semiotics, the Science that investigates what is common to all languages, examining the phenomena of production, signification and meaning in those languages. Upon regarding Odon Nogueira’s “Madonna”, we feel the spiritual depth of being a “mother”. The face of the Virgin Mary shines forth the great excellence of motherly tenderness, through her gaze, lips and serene countenance. This tenderness caresses the child and affects him, so that he becomes similar to the mother, something very well expressed by the artist when shaping the Child Jesus. I must bring up a highlight: the proportion of the hands. The Mother’s hands that are large, because they will do everything for the son, so that he becomes serene and happy. It is exactly because of this that the artist, breaking classical rules, puts a watch on the Virgin’s right arm, meaning that the Mother is a woman who dedicates all the hours of the day to the care of her son. The beauty the artist convey through the image of the Madonna is that one which belongs to the woman who wholly embraces maternity and tenderly devotes herself to her son.